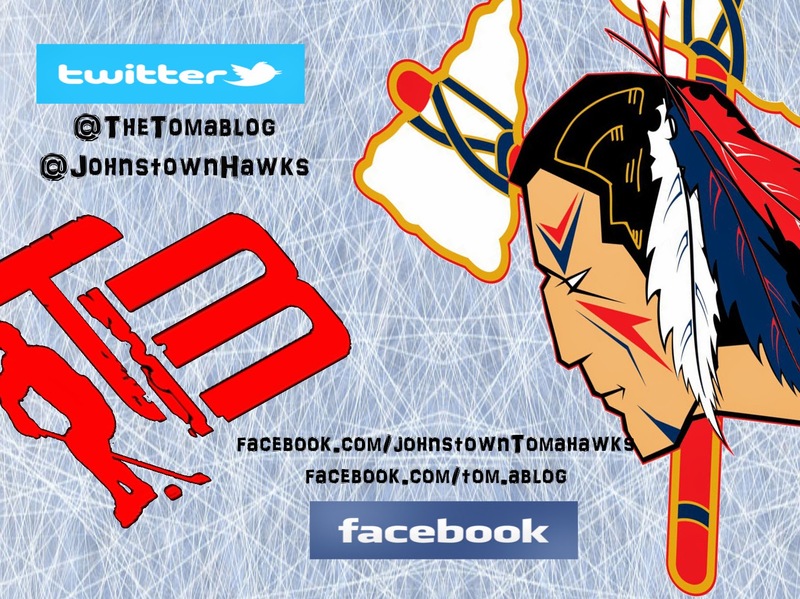 The Johnstown Tomahawks are back in action after having last weekend off. 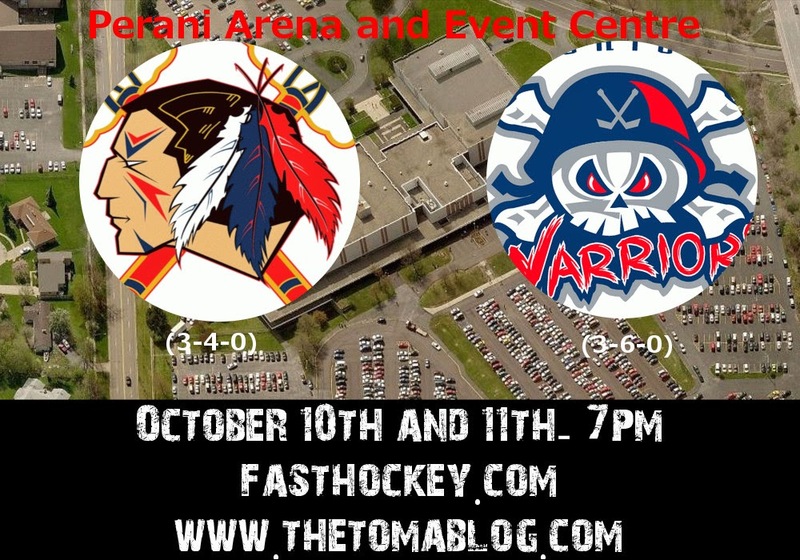 Just like the last time they were on the ice, Johnstown will travel to Flint Michigan to take on the Michigan Warriors. After starting the season 0-5, Michigan has won their last 3 of 4 giving them a record of 3-6 on the season. Johnstown comes into the game with a record of 3-4, which is good for six points. Six points in seven games is the best start to a season Johnstown has had so far in the brief history. These two teams have only played against each other twice so fair this season. In the only pair of games between the two teams, Johnstown and Michigan split, with Johnstown winning the first game, 2-1, and Michigan winning the following game, 4-1. Michigan comes into the game with the 14th best power play in the league, 7-for-43. Johnstown comes into action with the 15th best power play at 6-for-38. 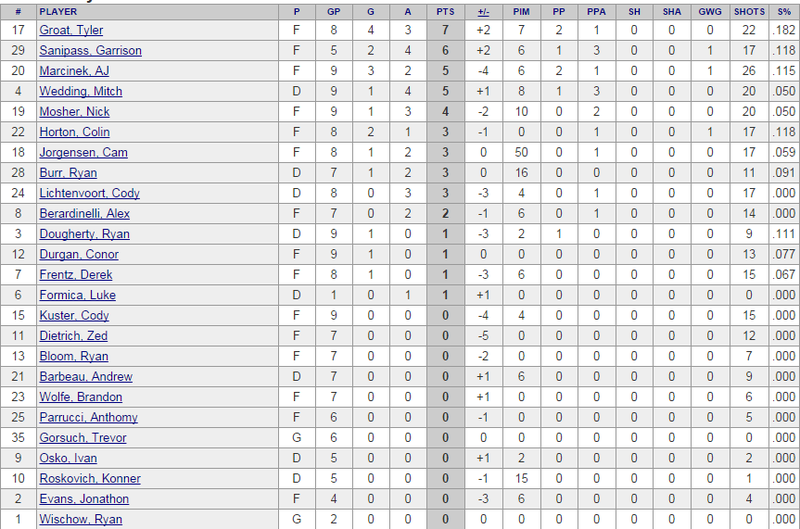 Alex Jaeckle: Coming into the weekend series Johnstown has four players tied for the team lead in points. Romano, Barnes, Recktenwald, and Jaeckle all have six points. Jaeckle, on the season, has one goal and five assists with a plus two rating. Last season Jaeckle appeared in 35 games for the Tomahawks before missing the rest of the season due to injury. In those 35 games he had a total of seven points (two goals, five assists). Jaeckle, who is one of three players on the current roster with a college commitment, is already having a solid year for the Tomahawks, both on the offensive side and defensive side of the puck. Look this weekend for Jaeckle to continue with his exceptional play and tie (and pass) his junior career point totals, as Johnstown looks to bring home four big points in the North Division standings. Garrison Sanipass: For Michigan's player to watch you can look upon a familiar face. 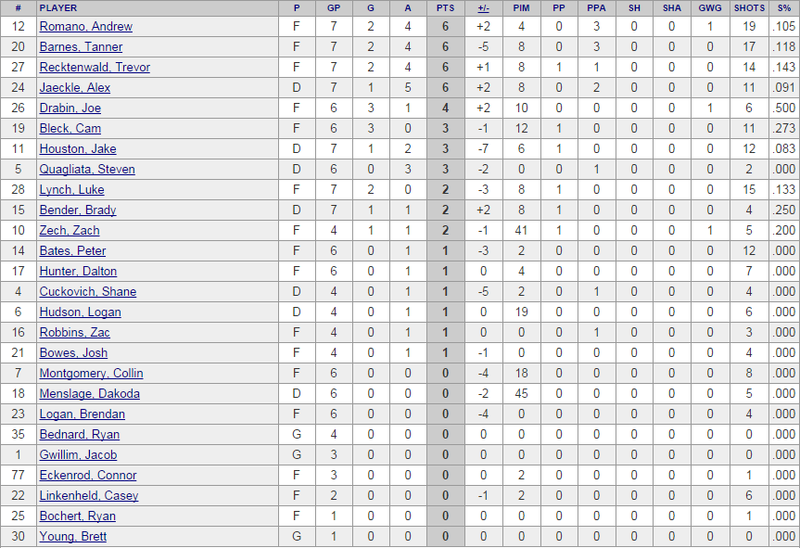 Sanipass is second on the Warriors team in scoring, only one point behind Tyler Groat for the team lead. Sanipass was traded along with Ivan Osko two weeks ago to the Warriors for draft picks and other considerations. Since changing locker rooms, Sanipass has seen his game take off. Last season with Johnstown, Sanipass played in a total of 40 games. In those 40 games he scored one goal and assisted on two others. This season he played in 2 games for Johnstown, and didn't have any points. Now with Michigan, in only five games, Sanipass has six points (two goals, four assists). He also has a plus two rating. Sanipass helped Michigan pick up their first win of the season, when he scored the game-winning goal against his former team two weeks ago in Michigan's 4-1 Saturday night win vs the Tomahwks. In that game he also had two assists. Last weekend vs Keystone he had a goal and two assists helping the Warriors sweep the Ice Miners in Connellsville. Ryan Bednard has made his college commitment and will join his brother at the D1 ranks with Bowling Green State University. We haven't seen any official press release but Ryan did tweet about his college plans and he's also listed on NAHL.com as making the commitment. Congrats to Bednard. He joins, Alex Jaeckle and Connor Eckenrod as players who currently have college commitments on the Tomahawks' roster. Labels: Alex Jaeckle, Garrison Sanipass, Johnstown Tomahawks, Michigan Warriors, NAHL.